Xiaomi X1 expected price in India is ₹23,990. 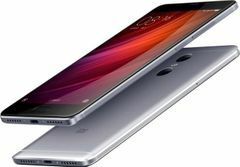 If rumors are to be believed then the Mi lovers can expect Xiaomi's new flagship phone Xiaomi X1 anytime soon. The initial reports place the launch of the Chinese product by the end of this month. As per the leaked information, Xiaomi X1 will be powered by Snapdragon 660 chipset and will feature a 5.5-inch display with 2160 x 1080 pixel resolution. The smartphone is expected to come with a dual rear camera setup on its (with Sony IMX362 or IMX386 sensors) back. The leaked images show that the phone has rounded corners and the buttons such as volume rocker buttons and Power key appears to be present on the left side. As per the leaks, the Xiaomi X1 will come in two variants - one with a regular display and the other with a full-screen display probably the Bezel-less display. While, the regular variant will come with 4GB RAM and 64GB internal storage - priced anywhere between 1,999 Yuan and 2,299 Yuan, the 4GB RAM with 128GB internal storage may cost you up to 2,799 Yuan. On the other hand, the full-screen model will ship with 6GB of RAM in 64GB and 128GB storage variants. These Xiaomi X1 price is expected to be around 2,299 Yuan ($339) and 2,799 Yuan ($412), depending on the storage variant.